Here’s a handy guide to the best selling wearable tech of 2016! 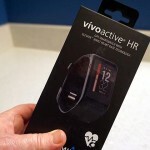 Many of them are fitness trackers, which is no surprise, as fitness technology continues to grow in popularity. There are also some top-rated, popular headphones. Wearable tech is steadily making its way into our hearts – and onto our bodies. More and more people are adopting wearable tech, making it an important part of their lives. For example, look at the very best sellers: fitness trackers. I have been at international conferences on topics entirely unrelated to wearable tech, and watched with interest as people aged from 25 to 75, hailing from countries as diverse as Australia and the Russian Federation, have compared with interest how many steps each of them has achieved that day. 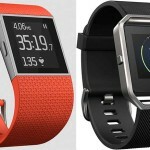 Check out the best selling wearable tech – includes fitness trackers and headphones! Professionals who used to compare Rolexes are now comparing fitness trackers to see who has walked the most steps. To my mind, it’s a good thing. At least it’s got many of us moving more! All that said, what are most people buying in wearable tech? I did some research and found the best selling wearable tech of 2016. This is one of my personal favorites. I just like the chunky look of it (even though it is actually ultra-thin), plus all the features and ease of use – such as the fact you can see the display clearly in bright sunlight. It also happens to be on sale right now.